HANGOUTS Freddo Bar & Lounge, ep.31. We don`t read history, we make history! 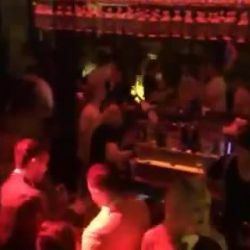 Video trimis de pe Cluburi Bucuresti: “HANGOUTS Freddo Bar & Lounge, ep.31. We don`t read...” — HANGOUTS Freddo Bar & Lounge, ep.31. We don`t read history, we make history!